Join us as we share our experiences helping others. 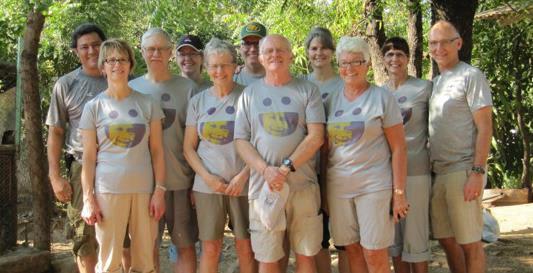 Bev and I arrived in Managua on October 4 ready to begin establishing a dental clinic in the Barrio of Edgar Lang. 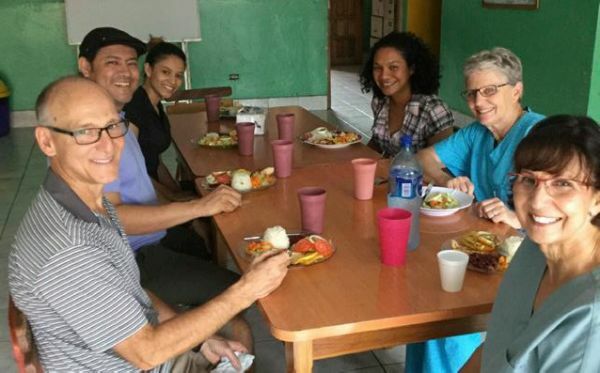 We had been successful in raising funds to establish this clinic in honour of Padre Denis Hebert, an Edmonton Archdiocesan priest who had dedicated most of his life in working with the poor in Peru, the Island of St. Vincent and Nicaragua. He had spent the last 25 years working with the poor people of the Barrio of Edgar Lang. Padre Denis passed away in 2015 (for more info go to www.rootsofchange.ca). We are happy to report that our trip to Nicaragua was very successful. We were excited but a little nervous about coordinating our first mission trip. We were very fortunate to have an experienced team accompany us on the trip. Their dedication, hard work and support were very much appreciated. Several DFA volunteers have sponsored students from the Comitancillo area to attend agricultural school in the nearest city, San Marcos. Our young team of dentists and hygienist graduates from the Class of 2013 have completed their first dental mission with DFA. This team was completely new with the exception of Dr. Don who had been the previous year. The number of patients we saw and procedures we did were incredible. We saw 278 patients, completed 1194 procedures which included 19 endos. We had a great team; Ali, Courtney, Susan, Jenny, Cheylene, Don our hygienist, and Bev and I with Don. Ken rounded up the team doing the sterilizing. Our team in group two consisted of Dr.’s Blaine, Trudy and Jim, Wanda, RDA, Annie, Kirsteen, Nancy our sterilizer and of course Bev and I. Oscar interpreted again for our final group and Jayson travelled with us the last week to assist in interpreting. 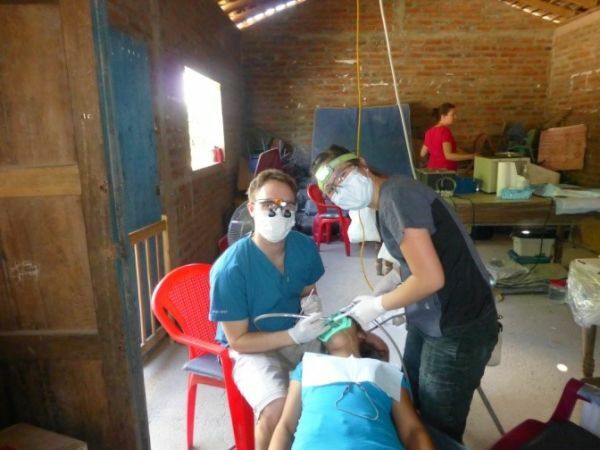 Bev and I began our 13th dental mission to Nicaragua, leaving Edmonton on Monday, January 6. 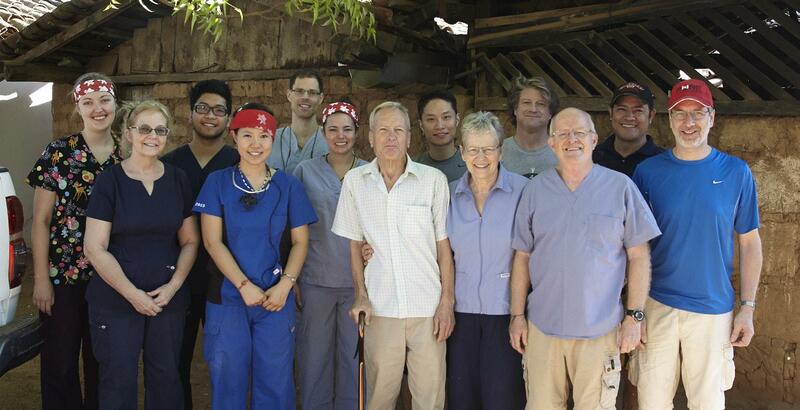 This would be our 20th year of completing dental missions to developing countries. Our usual easy trip to Managua was punctuated with cancelled flights, re-routes and delayed baggage. 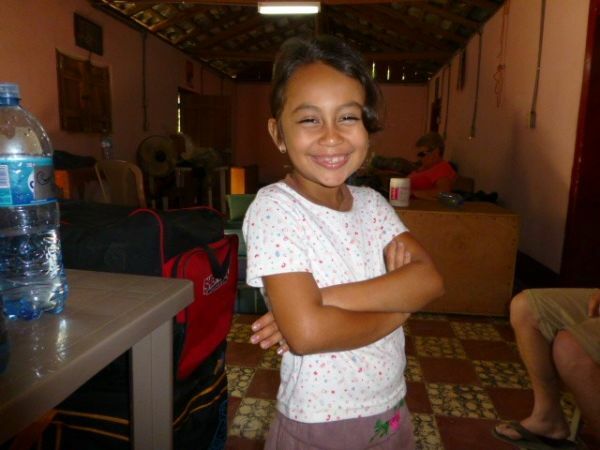 We arrived in Managua late Tuesday evening, our baggage arriving late Wednesday evening. The flights had been delayed due to a major snowstorm on the eastern seaboard and the Midwest. Chicago airport had been closed for three days causing much havoc for the airline companies. The good news is that there is never any snow in Nicaragua. Bev and I begin our 12th dental mission to Nicaragua by catching the Red Eye to Houston on December 30, leaving at 11:57 PM. We arrive in Managua shortly after noon, checking into the Best Western across the street from the Managua Airport. New Year’s Eve will be spent in the hotel. In 2005 Hurricane Stan hit Guatemala, causing tremendous damage to inner-city schools in Guatemala City. The local government had no funding for repairs, so DFA volunteers raised enough money to repair the roof, walls, and windows in one inner-city school, as well as upgrade their electricity so that all rooms had power outlets and appropriate lighting.